ARM processors are at the heart of every portable electronic device, like mobiles, switches, and portable devices. Low power consumption is the very critical requriements of all battery powered portable devices. This is the most important characteristic of ARM processor that leads to its wide usage in all portable devices. ARM processors are also widely used in embedded systems applications. The current requirements of embedded systems require ARM processors to do much more than the simple phone processor. 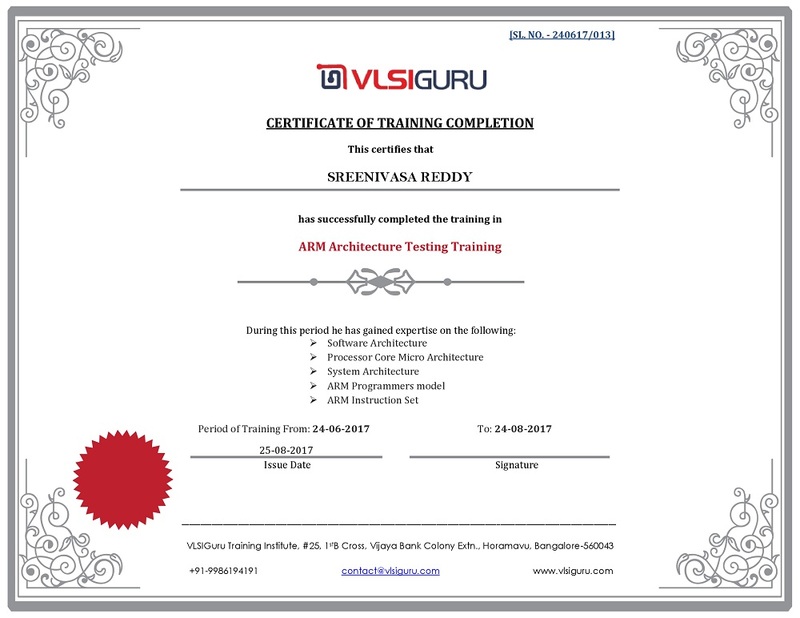 The ARM Architecture Training course covers wide range of processors comprising the ARMv7 & ARMv8 architectures. ARMv7 and ARMv8 Exception model. A32 and A64 Instruction set architecture overview. Memory attributes – Cacheability, Shareable. Does course cover practical sessions on ARM Architecture? Engineers with prior experience in Module leve verification looking to explore ARM & SOC verification. 15+ years of rich experience of working in Functional Verification domain across various mobile, networking, high speed peripheral domains.